Established in 1916, Madison's only settlement house served the predominantly Italian immigrant population of the Greenbush neighborhood a few blocks south of the University of Wisconsin campus. Its records fill more than four boxes and include hundreds of photographs about the organization's activities. These provide a rich visual record not just of Neighborhood House but of a diverse ethnic community that was obliterated by urban renewal during the 1960s. For the first half-century of its existence, Neighborhood House was run by Gay Braxton and Mary Lee Griggs, two women with backgrounds in social work. As the area changed over time, working-class African Americans, Jews, Irish and Germans all joined in Neighborhood House activities. What emerges from the scrapbooks, photo albums and individual images in the Neighborhood House records is the sense of a cohesive community. This was bound together by a network of clubs, programs and events hosted by the settlement house and overseen by Braxton and Griggs. This gallery features 133 images documenting those activities. This slogan in the 25th-anniversary (1916-1941) booklet reflects the wide variety of programming available to visitors. Activities were targeted at toddlers, boys and girls, teenagers, young adults, mothers and other members of the family. 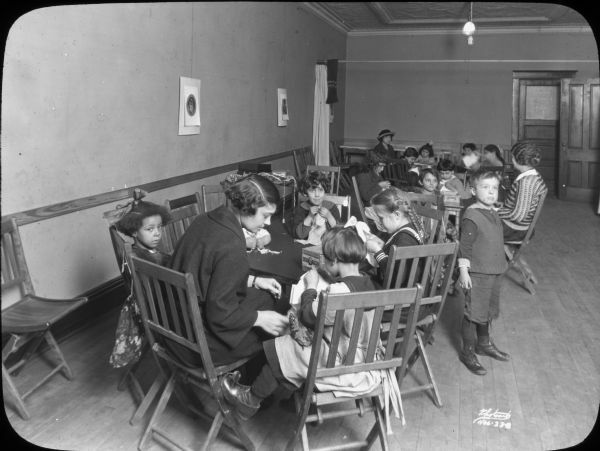 When the population in the Greenbush area consisted mostly of recent Italian immigrants, visitors to the settlement house could find language and civics classes to help them adjust to American life. At the same time, neighborhood residents could send their three and four-year-old children to the Play School while older children could take advantage of numerous clubs. Among the clubs organized by Neighborhood House were Boy Scouts and Camp Fire Girls, the T.T. Club, Gamma Delta Club for teenage girls and the N.B.B.O Club, (reputedly standing for "Nobody's Business But Ours"). In addition, classes and groups of all ages worked on other activities, such as sewing, crafts or woodworking. Neighborhood House also sponsored camping and bike hosteling trips for both boys and girls. Many of these more elaborate outings were self-financed, with children earning their fees by doing chores and odd jobs around the neighborhood. The Garden Club was another popular club. It began in 1931 as an extension of a neighborhood clean-up campaign that offered a prize for the largest number of tin cans collected. A gardening contest culminated in a flower show on Labor Day. The friendly competition grew in popularity, with 65 entries the first year and 100 the following year. Children were welcomed to participate in 1933, with the establishment of a Junior Garden Club, which attracted 67 members. By the time of the first Junior Garden Club competition in 1938, 167 children had entered. 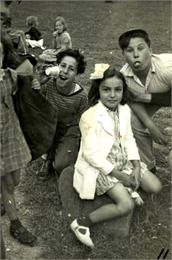 Other Neighborhood House activities included plays and holiday parties. Neighborhood House initially arose to help new immigrants adjust to American life. First known as "Community House," it was established in 1916 at 807 Mound Street. A year later, it moved to 25 South Park Street and became known as "Neighborhood House." In 1921 the organization moved to 768 West Washington Avenue, and Gay Braxton became the first head resident. Her close friend Mary Lee Griggs joined her in 1922 as director of the Play School and parent education. The pair oversaw activities at the house until Braxton retired in 1949. Griggs stayed on until 1966. Over time the area evolved into a diverse working-class neighborhood and, eventually, the focus of an urban renewal project. In the early 1960s the Neighborhood House building on West Washington Avenue was demolished along with many others in the area, dispersing the community and forcing residents to find new housing elsewhere in the city. Although she had officially retired, Braxton continued to advocate for neighborhood residents, particularly as older residents were threatened with loss of the homes where they had lived for decades. A new apartment complex created in the urban renewal project was named Gay Braxton Apartments in her honor. The project also contained a new building opened in 1965 at 29 South Mills, which houses the existing Neighborhood House Community Center.